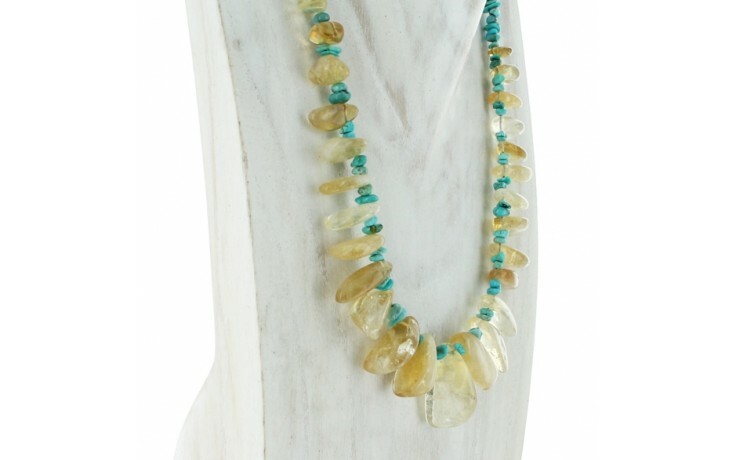 Large, clear citrine chips are combined on a single strand of Angel Peak turquoise chips for a "shark tooth" look. 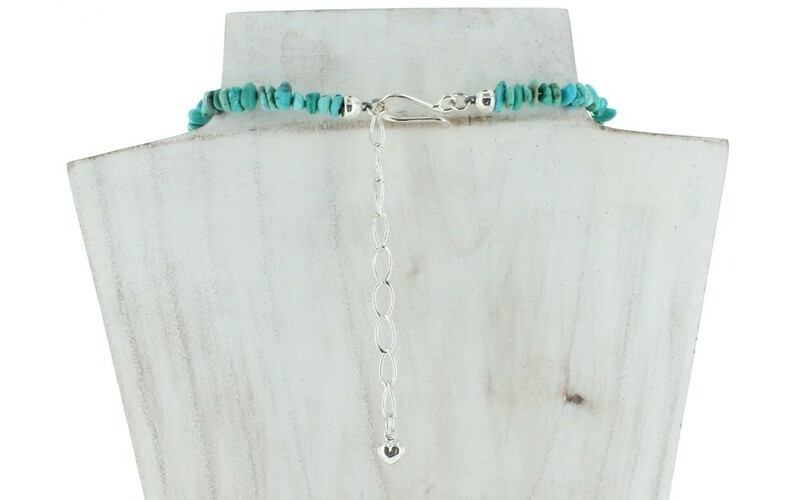 The citrines are strung in a graduated silhouette with two turquoise chips in between. 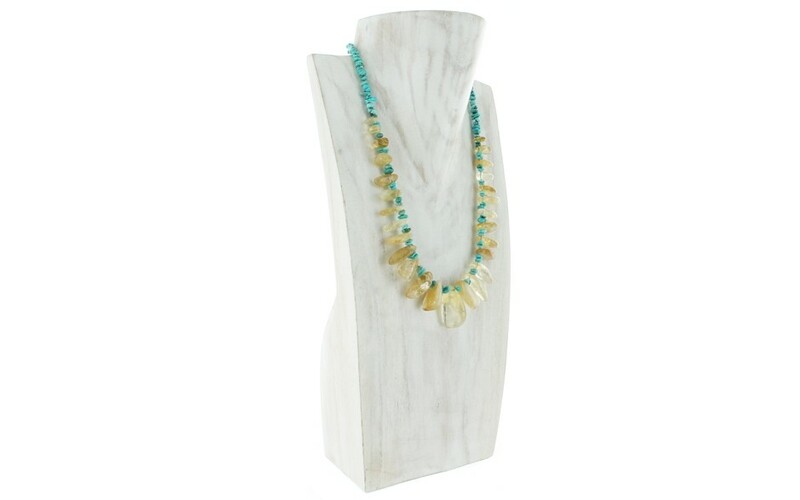 The turquoise color is sky blue to medium turquoise with black matrix. The largest citrine measures 12mm x 25mm, the smallest is 4mm x 11mm. 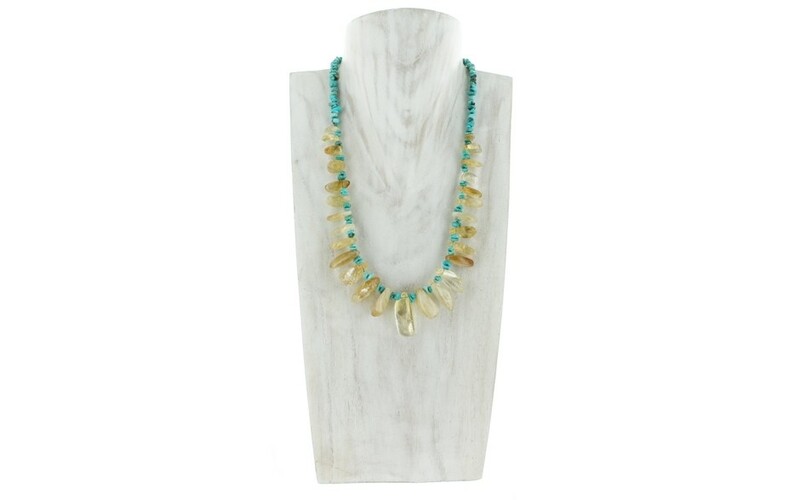 The natural, untreated citrine was mined in Brazil and the stabilized turquoise was mined in Chile.